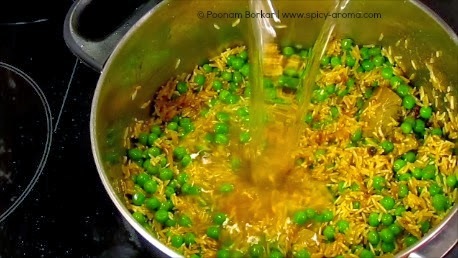 Wash the rice well under cold running water and set it aside. 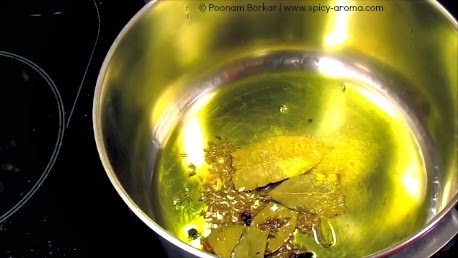 In a heated oil, add all whole spices and asafoetida. Sauté for few seconds. 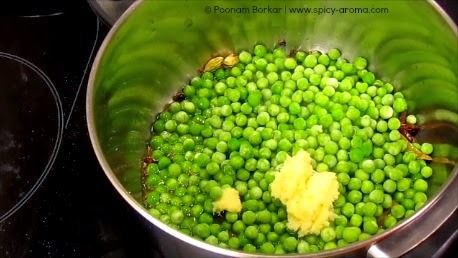 Then add green peas and ginger and garlic paste. 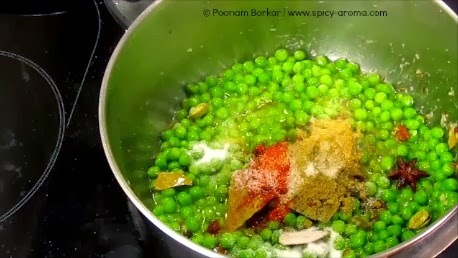 Then add all spice powders (turmeric powder, red chilli powder, coriander and cumin powder) and salt to taste. Mix it really well and add rice. 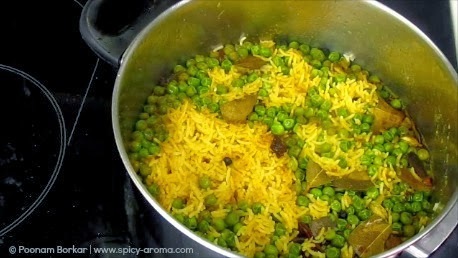 Mix it gently with peas and add 2 cups of water. 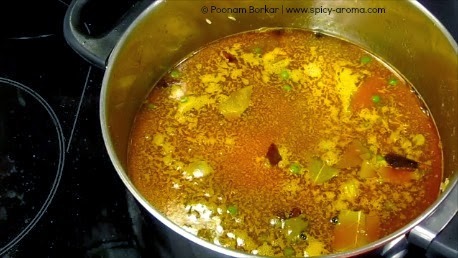 Also add jaggery and give it a quick stir. 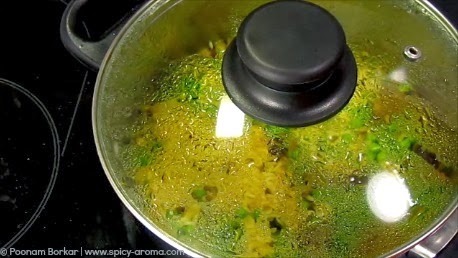 Reduce the heat to medium-low so the water slows to a simmer. 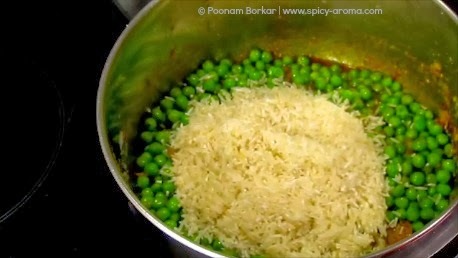 Allow the rice to simmer uncovered for 15-20 minutes. 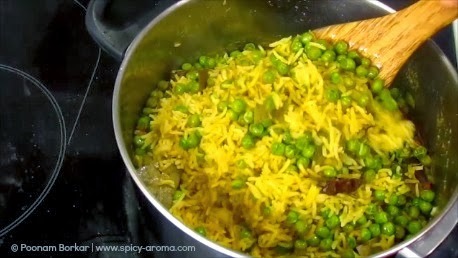 When you see very little water left in rice, reduce the heat to low and cook covered for 5 minutes. 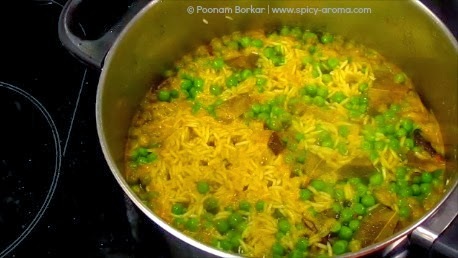 Then switch off the heat and keep it covered for next 15-20 minutes, so that steam remains inside. Open the lid and fluff the rice. 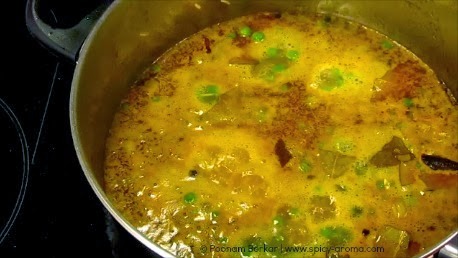 Serve hot with onion raita or plain yogurt. Super yummy, filling rice plate.